To ensure that your new pool is the perfect accompaniment for your property and meets your needs with ease, Pools R Us offers a complete swimming pool design and consultation service. We know that every home and every family is different, so creating a design that meets the needs of both is essential. Our team will work with you to determine what it is you’re trying to achieve in the project and will then work towards bringing it to life. We have been creating custom swimming pool designs in Melbourne for more than 20 years, so you can rest assured that we’ve seen it all and have a solution for every problem. The very first step in the process is the initial consultation, which is conducted by one of our expert pool builders in the comfort of your home. Using all the infomation gathered, we will then outline the options that we believe best meet your needs and explain the differences between them. Once you’ve selected your design, we will provide you with an itemised quote. We specialise in custom concrete pool designs, which means that we work with the lay of the land and provide you with a shape that best suits your block. We can work with a variety of different shapes, from the more traditional (rectangular) to the more modern (free form). We also have a range of finishes to choose from, including tile and render, to ensure that the design complements your existing or intended landscape. 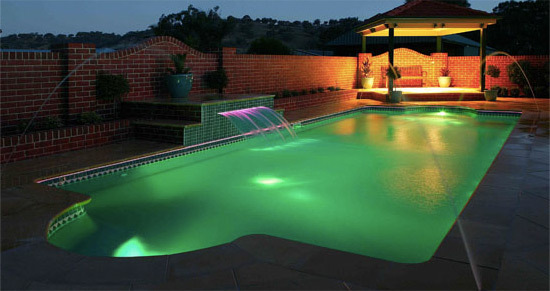 We can also work with high quality fibreglass pool designs in a variety of shapes and sizes. From those that are rectangular through to those that are more free form, you are sure to find a shape to meet your needs. As making a final selection can be a little overwhelming, Pools R Us is committed to helping you choose a design that will best suit your block. The fast turnaround and low maintenance requirements make fibreglass a popular choice. Choose from frameless, semi frameless or traditional.